SINGULAR DAYDREAMING | STEP BEHIND MY SCREEN OF STORIES. The inner voice where gaps of expression are liberated. When I watch my wild birds, I daydream of their freedom. When I sit at my desk and look at my mother’s photograph, I dream of the lunch we never had, and the lunch we did have, in Bullock’s Garden Room, watching the fashion show and discovering tuna salads. When I lie in bed at night I dream of him, whomever he is, wherever he is, and his strong shoulder cupped around my head, watching an old Cagney movie. When I shovel snow I dream of California, of old Del Mar and running along the shore barefoot. When I walk along Palace Avenue in Santa Fe, I dream of walking in Brooklyn, or 5th Avenue at about 6 pm, when everyone pours into the street, a fountain of limbs and accessories. Daydreaming unlike night dreaming where we are flying, conquering, or battling some inner masked trauma, illuminates where we want to be, and who we want to be, and if you take it seriously, how to get there. The medicine of daydreaming is unmatched by books, health food, vitamins, yoga, religion, mind altering experiences, it’s the essence of who we are, it defines our reality. Mostly these days, I daydream m of finishing the longest work-in progress book and as my pal Blair says, finish and move on with your life. For those of you who know me, when the time comes for a diligent writing routine, the act is outwardly selfish. Engagements canceled, phone is not answered, and my email correspondence drops off. If a trauma settles in my mind while I’m writing, the rhythm dissipates. Avoidance of the temptations that can draw me away from the work; men, my gal pals problems, Rudy falling off the ladder, and a vacant income. As I assemble my columns, government transcripts, book excerpts, and emotions into a page of writing what is different this time is I know what belongs and what doesn’t. The worst part of writing for me is vacillating, that mind twist of indecision. It is like the indecision of moving, or breaking up, or taking a different outlook, one you’ve never even considered before. The world we are living is not familiar; everyday it erupts with an inconceivable corruption, act of violence, and viciousness against humanity. It’s not the Italian roast coffee that wakes me up, it’s world news. I feel less and less a part of the humanity and more like a wild creature that is fighting for the past. My outlook on social clubs, synagogue and church congregations, group classes, and all that let’s meet up organizing makes a lot of sense now. Especially if you don’t have children, or a life mate the temptation to retreat into your own world of fantasy is irresistible. My next thread will be on the single life, I can claim expertise in that! Last night a stranger in a sports jacket, silver hair, and polished shoes sat beside me at the Staub House. He struck a conversation and within fifteen minutes he said, ” I’m going to the Chamber Music Concert series tonight and next week I go to three operas. ” My interior dialogue is assessing him; he’s very presentable, wears glasses well, and loves the arts. Maybe he will invite me. We continue chatting and then suddenly he switches tenses; it is no longer I, now it is we don’t live in Colorado in the winter, we have a house in Tuscon. After a few travel stories he says,” I have an extra ticket for tonight. Would you like to go? I’m meeting some friends afterward at the Compound.” A second of hesitation on my part, as this is the temptation I was talking about. What’s interesting today looking back, is that he didn’t even lie about being married or involved long-term. Men use to lie about that didn’t they? I mean what’s so unusual about having a tryst with a married man today? 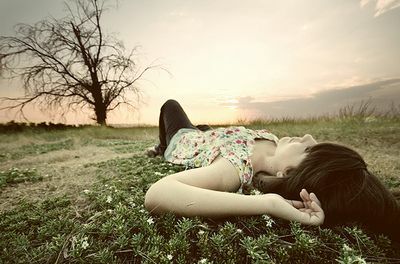 Daydreaming is not indecisive or dishonest. Maybe one of the most genuine of vices. Great Post, but it worries me, the author is on top of it. A lot to understand if one is able to. I thoroughly enjoyed this one and understand. Yes, a great Post.